We’ve selected the best places to stay in or around Windsor, including luxury hotels, boutique hotels, budget hotels, restaurants with rooms and pubs with rooms. With rates provided by our Booking Partners, it’s easy to check availability and book. A great choice if you want to stay in a traditional village pub in a rural setting but still have easy access to Windsor. The Winning Post at Winkfield is a popular base too with visitors to the Ascot Races, travellers heading to Heathrow airport and tourists planning to go sightseeing in central London. There are 10 tastefully decorated bedrooms situated at the back of the pub. You get big comfy beds and nice touches including filter coffee. Dogs are also welcome. Inside the 18th century pub, a huge stone fireplace, nooks and crannies, a flagstone floor and a warm welcome from the staff. The food is top notch. Perhaps Chateaubriand with triple-cooked chips and Béarnaise sauce? Rooms from £84 a night. The Castle Hotel in Windsor dates back to 1528 when it started life as The Mermaid Inn brewing beer and cider for the residents of the town. Today, it is a luxury 4-star hotel with one of the best locations in this royal town. Just across the road is Windsor Castle where, in addition to the standard castle entrance, you can take a tour of the royal kitchen, Britain’s oldest working kitchen. Watch the Changing of the Guard while sipping a cocktail in the hotel bar or explore Windsor’s historic pubs and interesting shops. Recently refurbished rooms (some located in annexes at the back), come with fine Egyptian cotton bedding and nice touches including a turndown service and complimentary water. Breakfast is served buffet style . 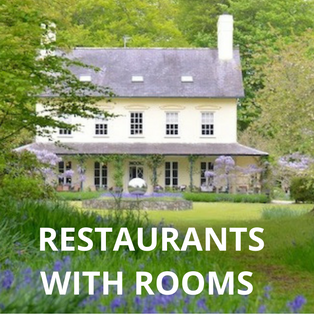 A luxury country house hotel with a fascinating history and stacks of character. Danesfield House sits alongside the River Thames, close to the charming town of Marlow, with a view of the Chilterns beyond. Stay here for a special weekend break. Relax in the stunning spa, go for a stroll in the 65 acres of grounds or simply chill in the hotel’s calm surroundings. The house is set around a series of courtyards and beautiful ornate gardens. Choose to stay in either a country house style bedroom (some with four-poster beds) or, in one with a more contemporary décor. Breakfast is served in The Orangery with wonderful views of the River Thames. If you love seafood and are looking for a good value, no fuss, option in Henley, stay in one of the rooms above the Loch Fyne restaurant. It’s in a handy central location with the River Thames close by so good for Henley Regatta. The railway station is 10 minutes away by foot. Rooms are large with standard facilities. Choose one at the back of the building if you’re a light sleeper. The main draw is easy dining in the restaurant downstairs. It’s the place to have a slap up seafood meal. Loch Fyne was set up by two Scottish oyster enthusiasts. Much of the restaurant’s seafood comes from the West Coast of Scotland famous for its Scottish Seafood Trail. 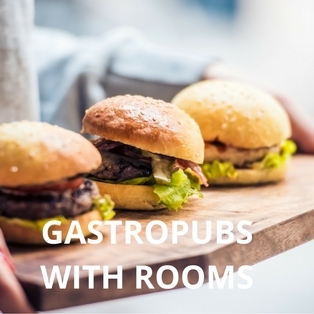 Tuck into dishes such as scallops with chorizo, seafood stew and traditional fish and chips. Stay on a Tuesday night and enjoy the ‘Mussel Madness’ special offer when you can eat unlimited mussels. Rooms from £60 a night. Next to the River Thames, in the historic market town of Henley, you’ll find the Hotel du Vin housed in a beautiful Georgian building. For over 300 years it was home to Brakspears brewery. Now guests can stay in one of 43 different rooms and suites. You get the Hotel du Vin signature style – Egyptian cotton bed linen, huge beds, fluffy bath towels and monsoon showers or roll top baths. Book the Lauren Perrier room for views over the river and an outdoor bathtub. Classic French bistro food awaits you in the brasserie. Rooms from £119 a night. Sister hotel to the Chewton Glen hotel and spa in Hampshire, Clivedon House offers a unique place to stay near Windsor. The privately owned luxury hotel is a Grade I listed stately home. Built in 1666, its history is marked by stories of scandal, power and politics. It’s where Christine Keeler first met John Profumo and the infamous Profumo affair began. Rather uniquely, the extensive grounds of the estate are managed by the National Trust. Each day they draw in visitors keen to explore the parkland or partake in the hotel’s traditional Afternoon Tea served in the Great Hall. Clivedon is the place for an indulgent and luxurious stay with the price tag to match. Choose a deluxe garden room and you’ll have your own hot tub on the patio. As for the spa, it’s sleek and modern with both an indoor and outdoor pool. 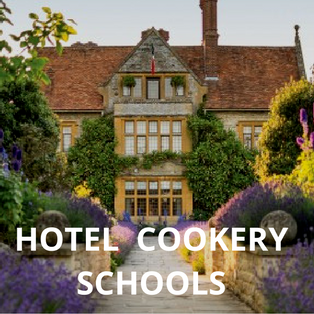 Discover more delicious places to stay in our FOODIE BREAKS COLLECTION.